This book relates to the existence and the material effect of the occurrence of unexpected, accidental or exceptional events in the contract of affreightment or in the contract of carriage by sea. Even if the parties show due diligence, they cannot be sure that the charter contract will be performed, undisturbed, within the agreed time plan. Unpredictable events such as wars, requisition or destruction of the ship, supervening hardship of performance, may, under certain conditions, render the execution of the contract impracticable or hinder the performance of the charterparty substantially. The aim is to confine the analysis of unexpected circumstances and their effect only on carriage of goods by sea under either a bill of lading or a charterparty. The link between a contract of carriage of goods by sea and the concept of unexpected circumstances will be reviewed extensively. Their influence on the performance of the contract, after its formation, is significant given the fact that they obstruct or substantially delay the normal performance of the existing contractual obligations. Their appearance to the “life of a contract” is usually accompanied by outstanding issues, which arise because of impossibility, frustration or impracticability, the most famous of which is the commonly used term of “frustration of contract”. These problems, the analysis of which presupposes a case-by-case approach, require considerable attention. Hence, in light of these initial remarks, the intention is to enlighten both practitioners and law students on the issue in question and to highlight the pivotal role of maritime law jurisprudence as pertaining to the development of the “doctrine of frustration” as a method for allocating the loss by the occurrence of unexpected, accidental or exceptional events. The core of the research is analysed as follows: How does the “doctrine of frustration” operate in the field of maritime law? Moreover, under what circumstances comes into play and what is its effect on the contract? 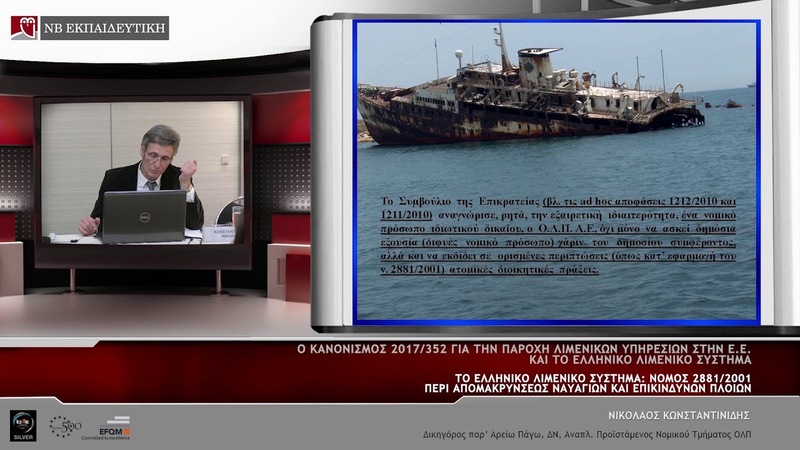 Τhe main objective, firstly, includes both a scrutiny and an evaluation of the maritime law findings and, secondly, questions the scope of the “doctrine of frustration” and its limitations. At the end of each and every chapter extensive comments are made on the case law elaborating and clarifying the issues as they arise. Το παρόν έργο στην αγγλική γλώσσα αποτελεί τον τρίτο τόμο της σειράς Μελέτες Ναυτικού Δικαίου υπό την Διεύθυνση της Καθηγήτριας Νομικής Σχολής Αθηνών Λ. Αθανασίου. Το βιβλίο σχετίζεται με την ύπαρξη και το ουσιαστικό αποτέλεσμα της επέλευσης απροσδόκητων, τυχαίων ή έκτακτων γεγονότων στη σύμβαση της ναύλωσης ή στη θαλάσσια μεταφορά. Ακόμη και αν οι συμβαλλόμενοι επιδείξουν τη δέουσα επιμέλεια, δεν μπορούν να είναι σίγουροι ότι η ναύλωση θα εκτελεστεί απρόσκοπτα εντός του συμφωνηθέντος χρονοδιαγράμματος. Απρόβλεπτα γεγονότα, όπως οι πόλεμοι, η επίταξη ή η καταστροφή του πλοίου, η επιγενόμενη δυσκολία εκτέλεσης της σύμβασης, μπορούν, υπό συγκεκριμένες προϋποθέσεις, να καταστήσουν την εκτέλεση της σύμβασης της ναύλωσης ανέφικτη ή να παρεμποδίσουν σημαντικά την εκτέλεσή της. Το έργο συνοδεύεται από σύντομο αλφαβητικό ευρετήριο.